We have to imagine that people who drive impaired know the theoretical dangers, but have little or no experience with the reality of lives irrevocably changed by an impaired driver. We hold tight to this belief because we can’t imagine anyone would want to be responsible for the pain we see on the faces of accident victims. In drugged driving cases, our clients typically fall into three groups: The injured, many of whom will be dealing with that injury for a lifetime; Those who watched a loved one cope with injury, a truly painful experience in itself; and Those who are grieving for a close family member. We are proud to serve as a drugged driving law firm in Oakland, Santa Rosa, San Francisco and throughout Northern California and we are also proud to support efforts to prevent drugged driving and make the roads safe for us all. It was just before 8:30 P.M. last Saturday night when the Bay Bridge saw a major crash that left three injured and traffic backed up for hours. According to The San Francisco Chronicle, 32 year-old Karrie Lyn Morgan of Vacaville was driving westbound in the bridge’s eastbound lanes when her car slammed head-on into one vehicle and sideswiped two others in the area just east of Treasure Island. The California Highway Patrol reported that Morgan was high on drugs at the time of the events that sent three, including Morgan, to San Francisco General Hospital. Authorities booked Morgan in County Jail on suspicion of driving without a license and causing injury while driving under the influence of drugs. The investigation is looking into how the vehicle was able to enter the bridge in the wrong direction. A National Institute on Drug Abuse (“NIDA”) webpage, updated October 2013, suggests that 10.3 million people (age 12 and up) drove under the influence of drugs or alcohol in the year prior to the 2012 National Survey on Drug Use and Health. These numbers are self-reported, which probably also means they are a significant underestimate of the real usage rates. A 2007 study by the National Highway Traffic Safety Administration reported that testing showed in excess of 16% of weekend, nighttime drivers had used some form of drug (legal or illegal) with more than 11% testing positive for an illicit substance. 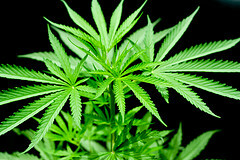 Putting alcohol aside, marijuana is the drug most commonly found in the systems of impaired drivers and crash victims. Studies found anywhere from 4 to 14% of drivers killed or injured in traffic crashes tested positive for THC, the drug’s active ingredient. Research suggests marijuana can negatively impact perception, attentiveness, and the ability to draw upon past experiences; impairment increases when marijuana is paired with alcohol. One specific study from a Maryland trauma center in 2003 found marijuana in the systems of 26.9% of seriously injured drivers. The study also identified the following drugs with the usage rates in parentheticals: Cocaine (11.6%); Benzodiazepines, (ex. Valium and Xanax; 11.2%); Opiates (ex. OxyContin and heroin), and other prescription drugs (10.2%).